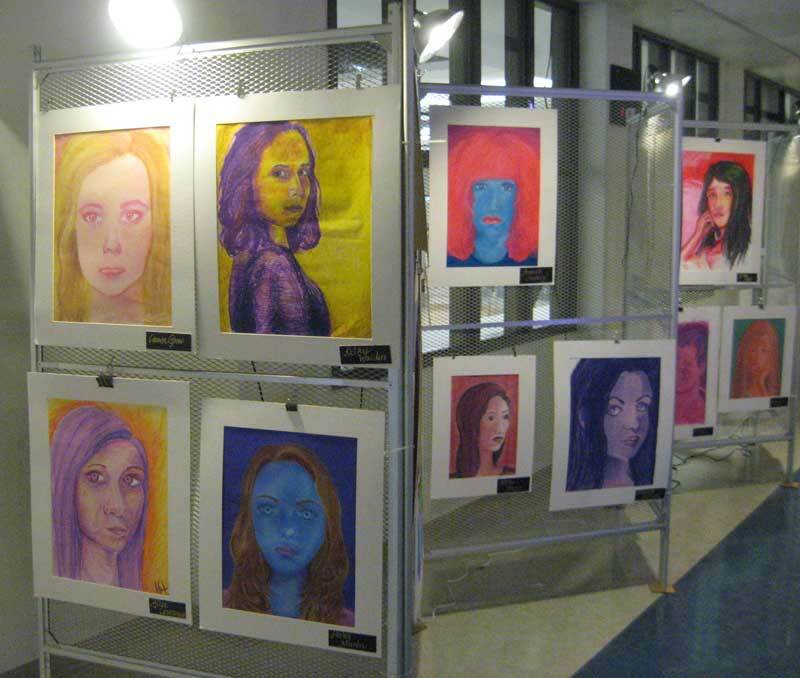 The 36th annual Unionville Art Gala showcased the best of local professional and student artists, all while raising money for the school. EAST MARLBOROUGH — The Chester County art scene extends beyond the pastoral works of the old masters, and the Unionville Art Gala—in its 36th year of operation—exemplified this, showcasing established as well as emerging artistic talent in the area last Saturday. The gala incorporated two distinct areas of exhibition: the professional and the student. 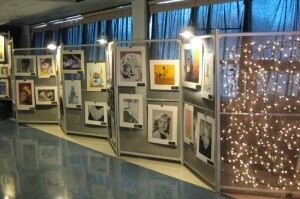 The student exhibit, adorned with white Christmas lights and mellowed with acoustic background performances lent a decidedly Bohemian feel to overall ambiance. Strategically positioned lights were also in place to give focus to the avant-garde, multicolored self-portraits as well as the more traditional landscape pieces. 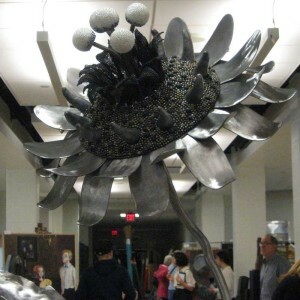 Sculptures were among the works featured at the show. 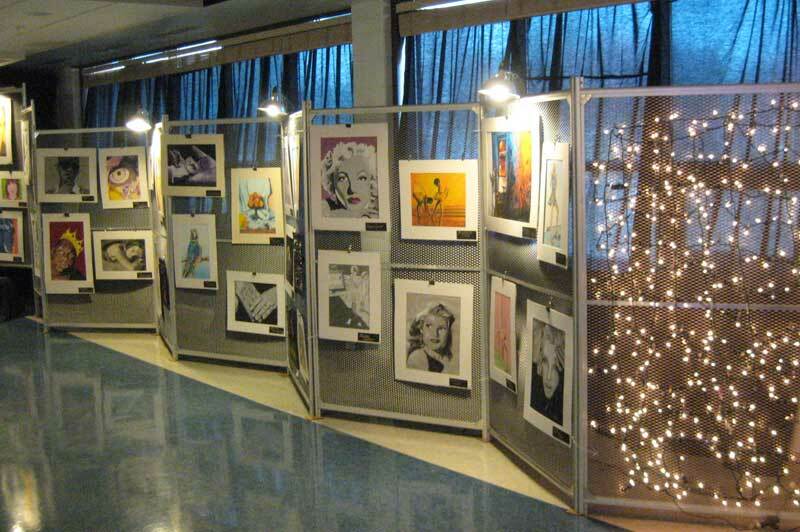 The event served students not only in terms of recognition for their artwork, but also to raise funds for extracurricular organizations. As for the professional side of the exhibit, a plethora of works were present showcasing the abstract to the traditional; from jewelry to metal sculpture. The gala’s featured artist this year was Jeremy McGirl, an oil painter who combines realistically incorporated images onto a superbly painted canvas environment. 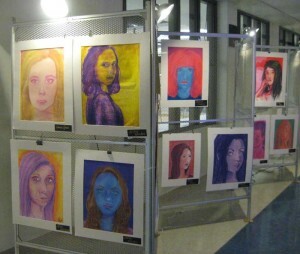 Images on the display in the student art area during the Unionville Art Gala. But beyond the tangible art itself, beyond the monetary value placed on the works and revenue from fundraising, there is a more intangible benefit for the art students of Unionville High: the chance to create. In a time when art, music, and even academic programs such as history are being cut, now more than ever, the chance for self-expression has become increasingly more vital.